HY-TEC is able to create a solution for any concreting project, having had experience in many concrete projects and applications. The following explores some examples of how HY-TEC products can be supplied and their applications. At HY-TEC we provide our clients with the materials to make industrial floors of a high standard. HY-TEC is a leading supplier of 20 and 25 MPa concrete for council footpaths. Located at Burwood in New South Wales, this Dan Murphy’s project encompassed 650m3 of concrete product and was built by Prime Constructions. Integrated into North Sydney’s heritage precinct, this 21 storey commercial building incorporates many sustainable features and materials. HY-TEC was chosen by Presida to supply their T1 project over a 10 month period. HY-TEC Queensland supplied concrete to ‘Dig It Landscapes’ for a local government project at Nambour. City Tempo is a modern compact living 22 storey high rise complex integrated into the sophisticated and diverse heart of Melbourne, Victoria. 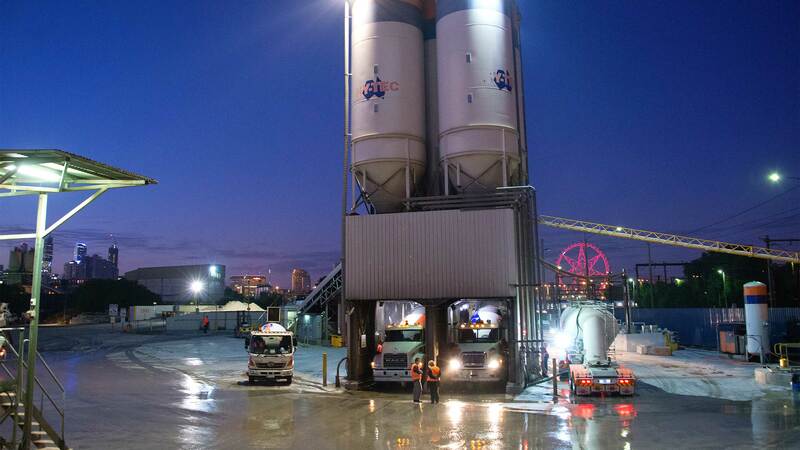 HY-TEC’s North Melbourne concrete plant supplied concrete for the Convention Centre and Hilton in Victoria.